We have been on vacation for a week. Doing a lot of family stuff and some small trips around here. We have done a lot of firsts this week. Our first real seafood experience. We went to Red Lobster to try shrimp, lobster, and crab legs. NOT A FAN. At least we can say we have tried it! Most of the firsts were the Boy's. His first time in a lighthouse. 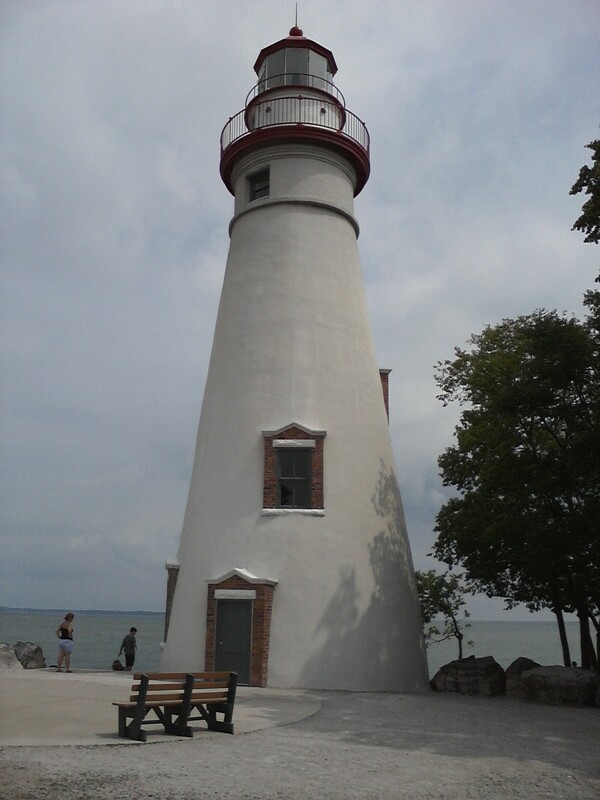 We climbed to top of Marblehead Lighthouse. He had his first larger boat ride. 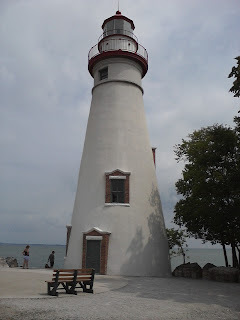 We went to Kelley's Island and Put in Bay on the Goodtime I. He drove a golf cart ( on said islands). We went to Sonic for the first time, it was really good. We have had such a great week, SO MUCH FUN!! We are a very close family and love spending time together. We are so blessed to have each other. Hubby and I are so proud of our Boy. He starts middle school this year. The boat trip to the islands was so much fun. 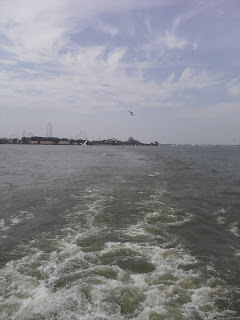 We got on the boat in the morning in Sandusky and rode for an hour. We arrived at Kelley's island first. We stayed for an hour and a half on the island. 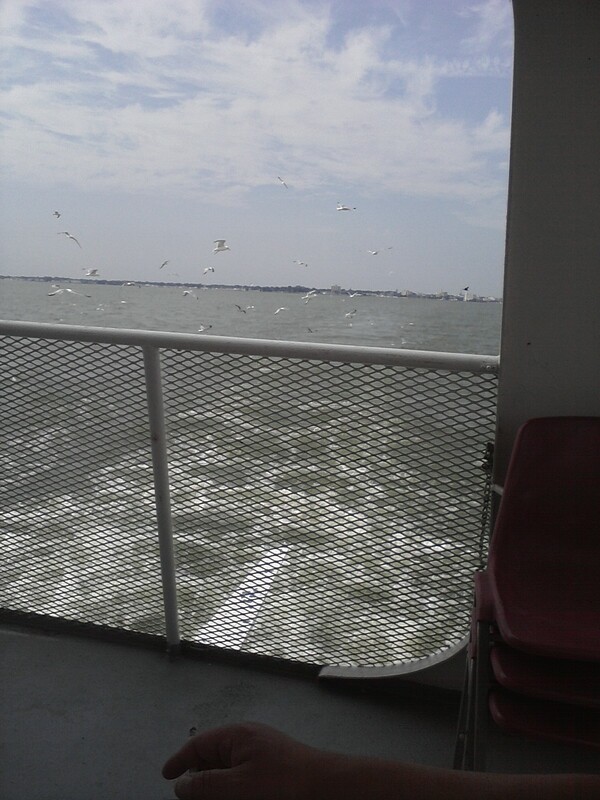 Boarded the boat for another hour and then arrived at Put in Bay. It is the more touristy ( is that a word, it is now ) island. We played on this island for 3 1/2 hours. Highly recommend renting the golf carts on both islands, added to the fun. Lots more to do on Put in Bay. 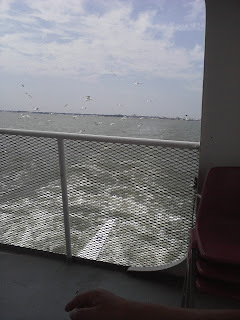 When it was time to come back on the boat, we rode it this time for 2 hours. We encountered a storm on the lake on the way back. It was really interesting to watch the rain catch up to the boat. All the passengers had to go to the bottom deck to keep dry. After the storm passed we went back up. We had the best time. Where have you gone this summer?